Cost: $7 per adult. Children under 12 are free. Camping is $18 for a walk up tent campsite or $14 for a primitive backpacking campsite. Operating Seasons and Hours: Open every day from 8:00 am to 10:00 pm. However, be aware that the the park often fills up with visitors on weekends and holidays. When that happens the park staff will close the parking lot for up to four hours until parking spaces are available again. Date of Visit: Saturday, January 17, 2015. 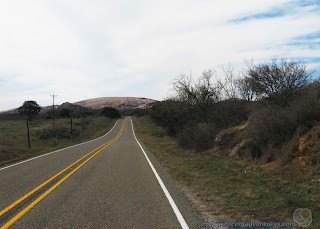 This is part of my list of Texas Hill County Day Trip Ideas. This was the second stop of a day trip west of our home. 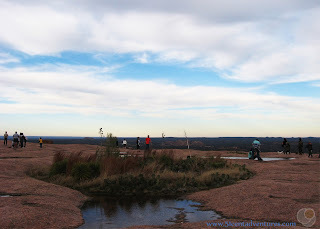 We left Longhorn Cavern State Park and drove another 50 miles west to Enchanted Rock. Enchanted Rock had been on my list of places to visit in Texas since we first moved to Fort Hood in January of 2013. But there always seemed to be something that prevented us from driving out to Fredricksburg and climbing the rock. The kids were either too little, or I was too pregnant, or the weather was too hot, or my husband was too deployed. 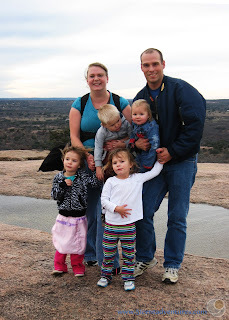 So it wasn't until January of 2015 that everything aligned well enough for us to plan a trip west to Enchanted Rock. 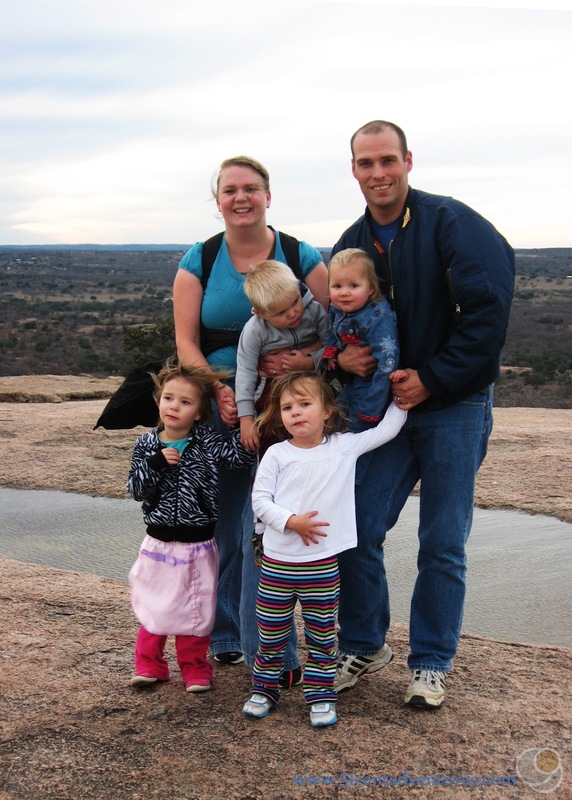 My husband was home from Korea, the weather was pleasant, I hadn't been pregnant for 15 months, and all four kids were old enough to handle long day trips and short hikes. We were also preparing to move to Fort Rucker, Alabama and I wanted to make sure that we saw Enchanted Rock before we moved away from Texas. So there was a little bit of a "now-or-never" approach to this trip. As we drove out to the rock we passed the usual landscape common in the Texas Hill Country. 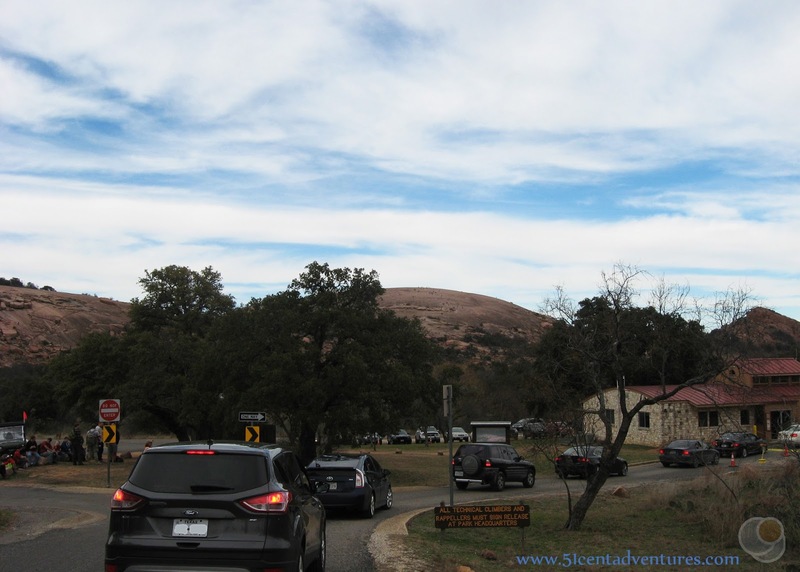 There were gentle hills dotted with scrub oak and cedar trees. Since this was January there weren't leaves on any of the oak trees and the grass was an ugly dormant yellow color. If we'd been here in other months the trees would have been full of leaves and beautiful flowers would be growing among green grass. I was very excited when the dome of Enchanted Rock appeared on the horizon. I'd wanted to see this rock for two years and now I was finally going to get close to it. We arrived at the entrance to the park, but discovered that it was blocked off by a police car. We were told the park was CLOSED. Apparently the park fills up every holiday weekend and there aren't enough parking spaces. When that happens the park entrance closes down until later in the day when there are more parking spots open again. We were told it would open again at 4:00. 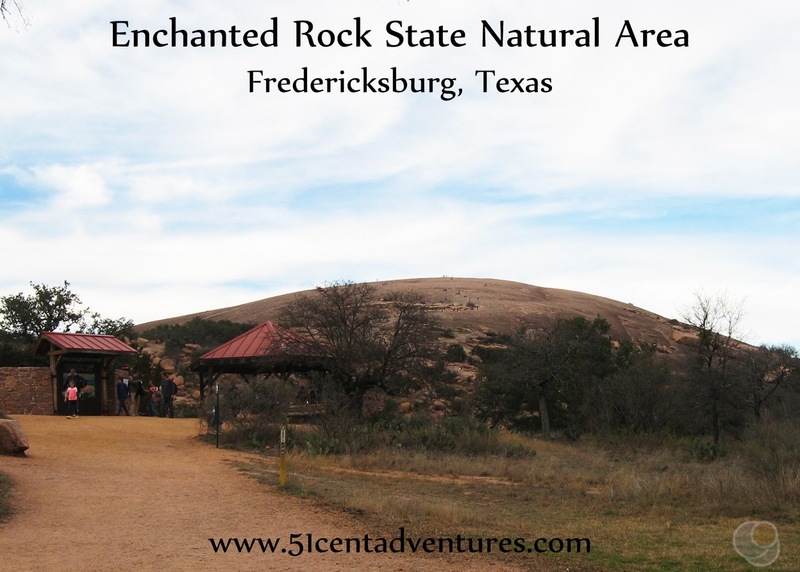 We drove to Fredericksburg which is less than 20 miles south of Enchanted Rock. Fredericksburg has a historic main street area that is very cute. Many people love shopping and dining in Fredericksburg. I would have loved to walk up and down Main Street, but most of the kids were asleep, so we just hung out in the car for about an hour. Then we went back up to Enchanted Rock it was only about 3:30 but the park rangers were already letting people into the park . We were in a line of about 20 cars. 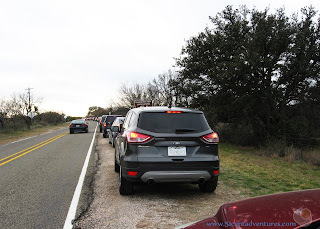 We made it into the park and showed our Texas Park Pass then were directed to a dirt parking lot near some maintenance sheds. It was quite a walk just to make it back to the Visitor Center. 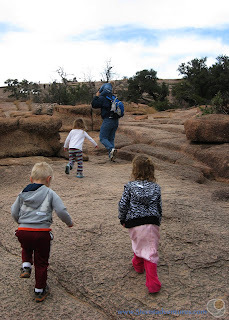 My husband and I were determined to climb to the top of Enchanted Rock, but we weren't sure how our kids would handle it. The hike would be a little less than 1.5 miles round trip. 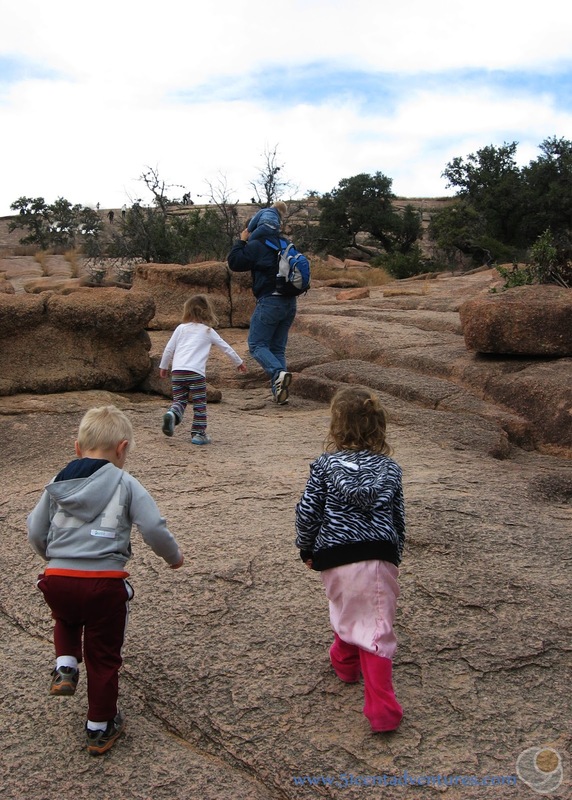 That doesn't sound like much, but it would be the farthest we'd ever tried to hike with all four kids. We decided to just start hiking and and see how far we could make it. Our kids actually all did really well - though each of them took a turn having an emotional meltdown. At first the only problem we had was that our 15 month old wanted to walk by herself. She hated riding in strollers so we hand't even brought one on this trip. But she hiked so slowly that we had to carry her most of the time. She put up a huge fuss anytime my husband or I tried to carry her. 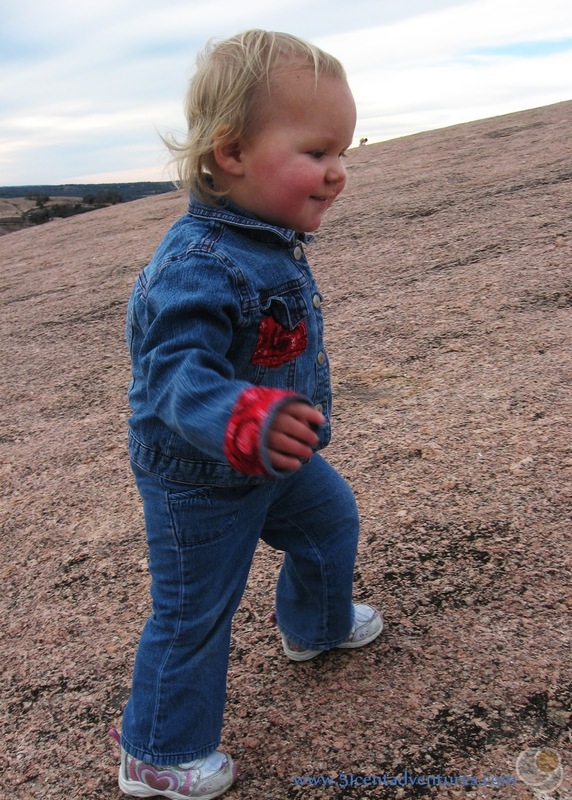 On the other hand, one of our four year old twins wanted to be carried and she started whining really loudly about that when we were about 1/3 of the way up the rock. My husband and I each took one of her hands and kind of forcefully helped her continue walking. Along the way nice people would offer us encouragement. One lady let the twins pet her dog and that was enough to get our four year old happy again. Slowly, yet persistently, we made up the trail on the face of the rock. As we reached the top of the rock we discovered pools of water. These are called weathering pits. When they hold water for several weeks they are called Vernal Pools and can develop into micro-habitats for plants and animals. My two year old wanted to throw rocks into the pools. They are very fragile so we didn't let him do that. And that's what led to a third kid crying on our hike up the rock. Meanwhile I let the 15 month old walk for a little bit so I could rest my arms. She charged up the rock like she owned the place. We made it to the summit and a nice lady took our picture. This is proof that sometimes you can accomplish what you think is impossible. We paused to appreciate the view and have a few snacks. Then it was time to go back down. Evening was approaching and the trail up the rock closed a half hour after sundown so we needed to get going. Hiking down was a bit rougher than going up. I insisted that we hold the kids' hands as we went down. The other twin didn't want to do that. So it was her turn for a melt down. But we all safely made it down from Enchanted Rock. When we made it to the Visitor Center the kids and I sat on a picnic bench while my husband hurried to get the car from it's far away parking spot. I was so impressed by how well everyone had done on that hike. 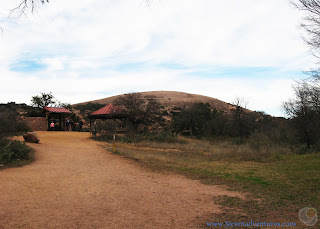 I'm glad I made sure we hiked Enchanted Rock before we moved away from Texas. 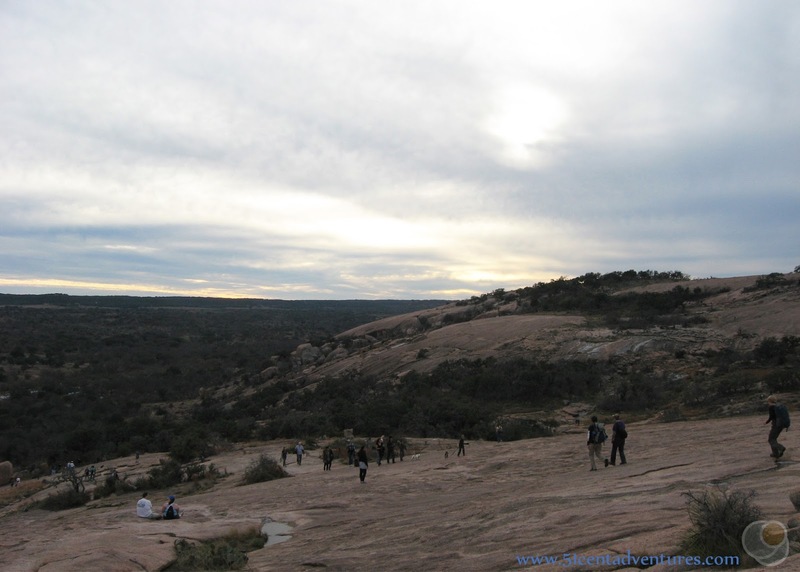 Recommendation: If you live anywhere near Enchanted Rock you should plan to drive out there and hike up to the top of the rock. 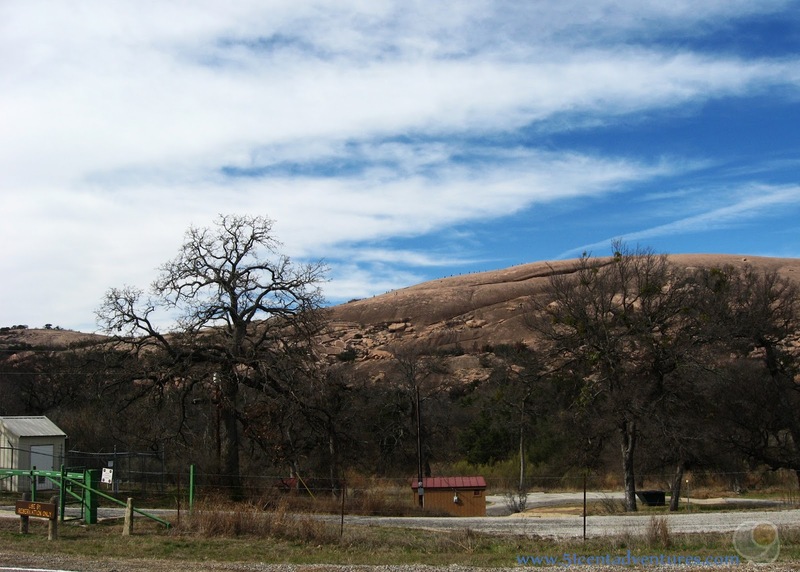 This is one of the best hiking options in the Texas Hill Country. Directions: Enchanted Rock is located along Ranch Road 965 which branches off of State Highway 16. There are plenty of signs to help direct you to the park. Additional Information: For more information about the geology and ecology of the rock you can read this information published by the park.